History: According to Indian medicine blue cohosh is potent of inducing uterine contractions for causing labor and making it faster. Blue Cohosh is really known to include a highly active substance which stimulates the uterine. But this capacity should only be experimented under medical control. In Indian medicine the herb was additionally applied for treating arthritis, epilepsy, child colic, hiccupping, and sore throat. Females applied the herb in form of strong decoction in order to prevent conception. In the USA the plant was widely applied for medicinal purpose, namely, as a childbirth trigger, for almost 30 years. In modern medicine the plant is used for inducing menstruation, childbirth contraction, curing hypertension, arthritis, cough, anxiety, and asthma. Used for: The remedy is known to stimulate the uterus, induce menstruation, relieve spasms and pains, and boost urination. Blue Cohosh is a strong stimulative remedy for the womb, and whenever there is a necessity to stimulate its muscles, it can be applied. The remedy can be applied for eliminating the possibility of miscarriage in a pregnant woman, though a consultation from your health-care provider is a must. Moreover, due to its ability to relieve spasms, the herb is applied to soothe false uterine contractions and dysmenorrhoea. Still, when a woman reaches the peak in her childbirth (namely, the bearing-downs), it may ease the process of child release from the womb. All the cases mentioned above belong to the sphere of its safe and reliable application. Blue Cohosh can also be used to relieve other kinds of spasms like nervous coughs, asthma, and colic. It is also beneficial for people suffering from rheumatism. According to animal researches the plant is potent of preventing ovulation, for which reason it was probably applied by Indians to impede conception. According to some researches conducted by European scientists, the remedy may fight microorganisms by stimulating the immunity. Additionally the remedy is used in kidney and bladder conditions. Additional Info: Blue Cohosh belongs to perennials and is native to the easern areas of North America. It commonly grows in moist areas, near streams, damps and so on. The stem grows straight from the root and can be characterized by large oval leaves. The flowers are green-yellow, and the fruit they produce is a berry of blue color. Preparation and Intake: For a decoction take 1 teaspoon of dried extract and pour a cup of water onto it. Boil up the mixture and keep it on low heat for 10 minutes. The mixture is applied thrice a day. Commonly mixed with: In order to stimulate the womb, blue cohosh is applied together with yarrow, motherwort, or false unicorn. As a spasm relief the remedy can be mixed with black cohosh or scullcap. 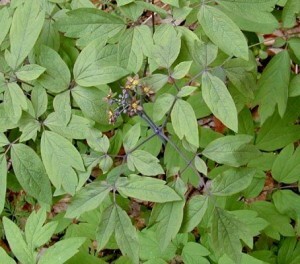 Safety: Blue cohosh may cause skin irritations, or dermatitis when applied externally. No contact with eyes or inhalation is recommended. The berries can be poisonous for children of early age. Cohoch is not recommended to use in case of hypertension, heart problems, glaucoma, diabetes, and stroke history or possibility. Exercise care! The herb should be used only under medical control or after you consult your health-care provider.